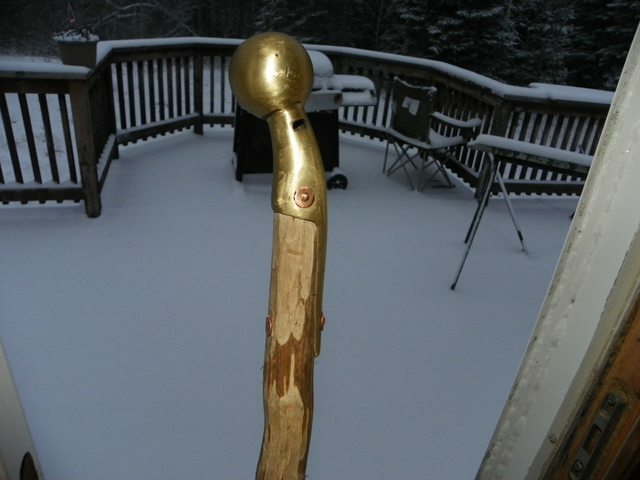 I made up a walking stick from a hame end I found in the barn and a maple sapling from the woods. I think Little John of sherwood would even approve. Nice! It looks like it would pack a wallop! I was thinking the same ....what a wallup that would pack!! I was thinking of doing the same thing. Looks like I was on the right track. Looks good. Ingenious & cleaver! I like it. i've seen them hams fer sale for just that reason, or buy a bubba stick.